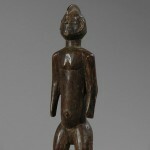 This typical N’Gbaka (Ngbaka, Nbaka, Bwaka or Zande) anthropomorphic figure belongs to the Ubangi region (Democratic Republic of the Congo/Central African Republic). 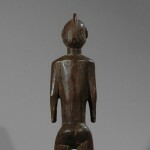 The figure has a characteristic cubistic form. 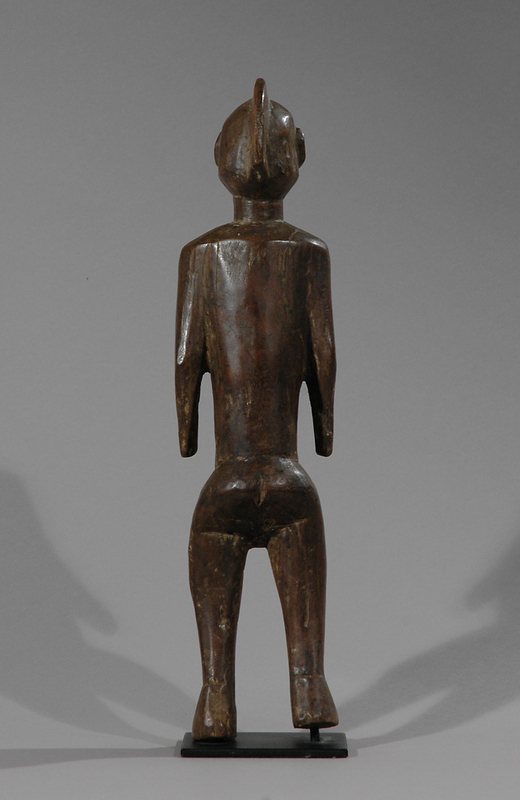 Objects from this area are comparatively rare in Western collections as Ubangi sculpture is the last significant regional art style in sub-Saharan Africa to be identified and studied. 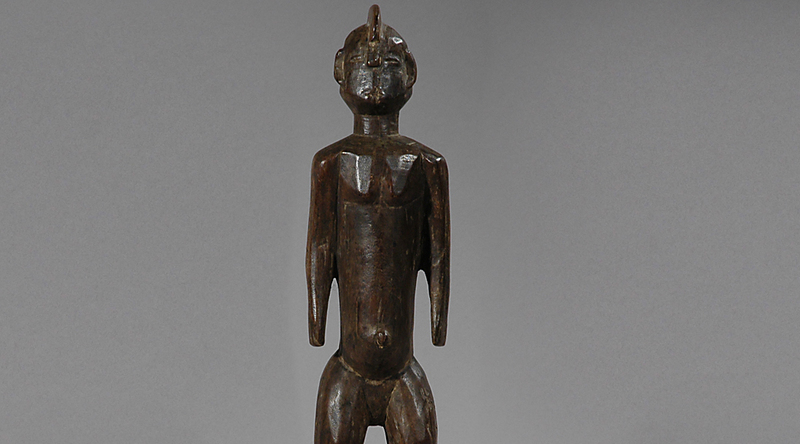 Attribution of objects to a specific culture from this region can be complicated due to the fact that figures produced by various groups in this region share a complicated network of similarities. 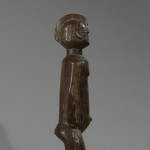 The original use of this particular figure is unknown. 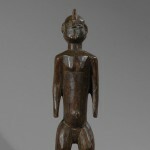 Generally, sculpture from this region had a wide range of uses; they were used by cults and sects that settled disputes within the village community, oversaw the moral development of youngsters, played a role in the healing of psychosomatic disorders, and offered their members protection and well-being. 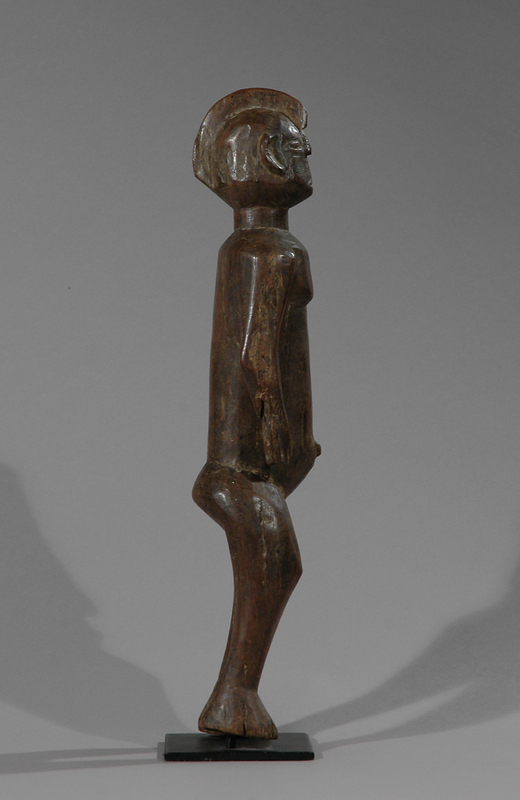 Sculptures from the area classified as the Ubangi region were the subject of an exhibition “Ubangi: Art and Cultures from the African Heartland” held at the Africa Museum Berg-en-Dal in 2007. Ubangi is a term used to describe the array of cultures from central Africa that were dispersed on both sides of the Ubangi river which separated the Central African Republic, Democratic Republic of the Congo and the Republic of Congo. Age: Est. early to mid 20th century, signs of age and use. Provenance: From a German collection sold through a German Auction house. 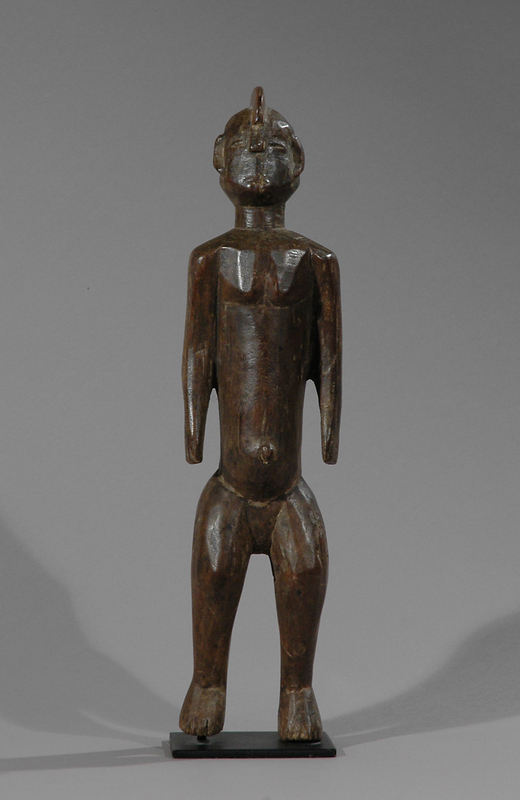 Literature: Article in the summer 2007 issue of TRIBAL magazine entitled “UBANGI : Open Borders in a Central African Crucible” by Jan-Lodewijk Grootaers and also “Sculpture of the Ubangi” by Georges Meurant in the same publication.